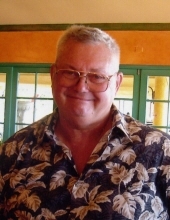 Wesley Eugene Wallis, 68, of Malcom, died on March 22, 2019, at Mercy Medical Center in Des Moines. Memorial services are scheduled for 2:00 p.m. Saturday, March 30th at the Kingdom Hall of Jehovah’s Witnesses, 1301 Iowa Speedway Drive (exit 168 I-80) in Newton with Dwight Kennedy officiating. Visitation will be held from 4:00 p.m. to 8:00 p.m. Wednesday, March 27th, at the Smith Funeral Home in Grinnell with the family present from 6:00 to 8:00 Wednesday evening. Memorial contributions may be designated to the Kingdom Hall of Jehovah’s Witnesses in Newton. Wes was born on January 1, 1951, in Grinnell, the son of John and Wilma Broders Wallis. He spent his life on the family farm in Malcom. He was a 1969 graduate of Grinnell High School and served in the National Guard during the Vietnam War. Wes continued to farm throughout his life while driving a truck cross-country for several years and later retired from Amana Refrigeration. On December 30, 1983, he was united in marriage to Susan Muse in Grinnell. In 1993, Wes was baptized into the Christian Congregation of Jehovah’s Witnesses. Wes loved everything about farming, talking about and working on tractors, and he always knew the answers. He loved spending time with his grandchildren, taking gator rides with his co-pilot, Blue and telling stories to everyone he met. Those left to honor his memory are his wife, Susan Wallis of Malcom; two sons, John (Darcy) Wallis of Grinnell and Brandon Wallis of Malcom; three daughters, Jennifer (Bill) Gragg of Newburg, Cindy (Jason) Christensen of Sarasota, Florida and Krystal (David) Smith of Grinnell; four grandsons, Lane, Seth, Kaden and Noah; five granddaughter, Zarah, Anna, Jordan, Katelynn and Lilliana; two sisters, Carol Giovanazzi of Muscatine and Eleanor Rudd of Tucson, Arizona; and a nephew, Greg (Karen) Goth of Plantation, Florida. He was preceded in death by his parents, John and Wilma Wallis; a sister, Maxine Goth and a grandson, Austin Gragg. To send flowers or a remembrance gift to the family of Wesley Eugene Wallis, please visit our Tribute Store. "Email Address" would like to share the life celebration of Wesley Eugene Wallis. Click on the "link" to go to share a favorite memory or leave a condolence message for the family.